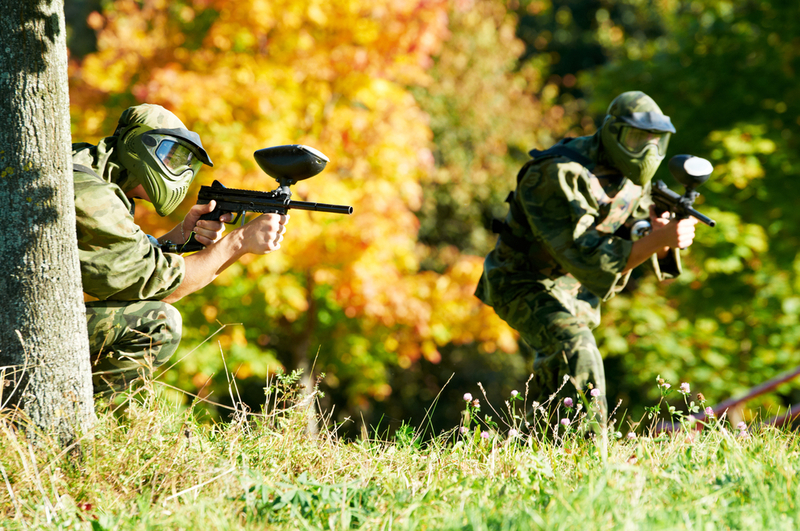 Paintball is one of the most exciting team games being played at present. It gives you the thrill of firing a gun minus the bullets and casualties. The game helps you feel the adrenaline just as if you are in a real gun battle. 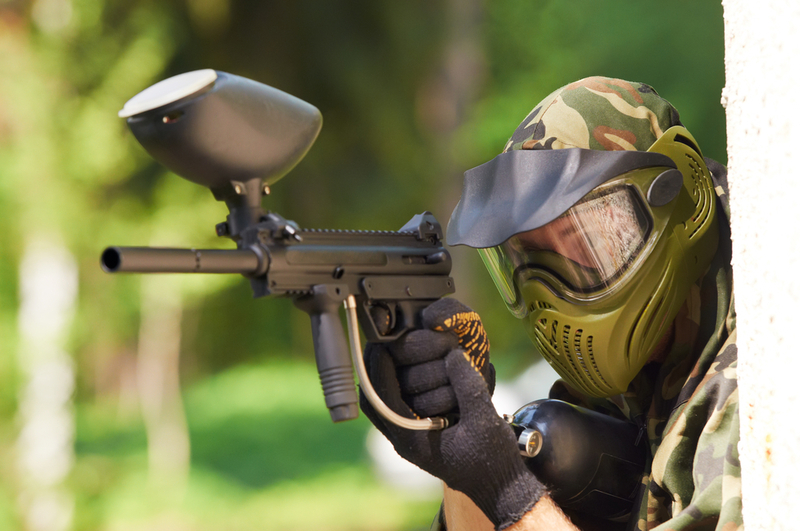 It helps hone your strategic skills and espouses teamwork on top of your shooting skills.With all these, it would be a good to have an idea where and how paintball started. 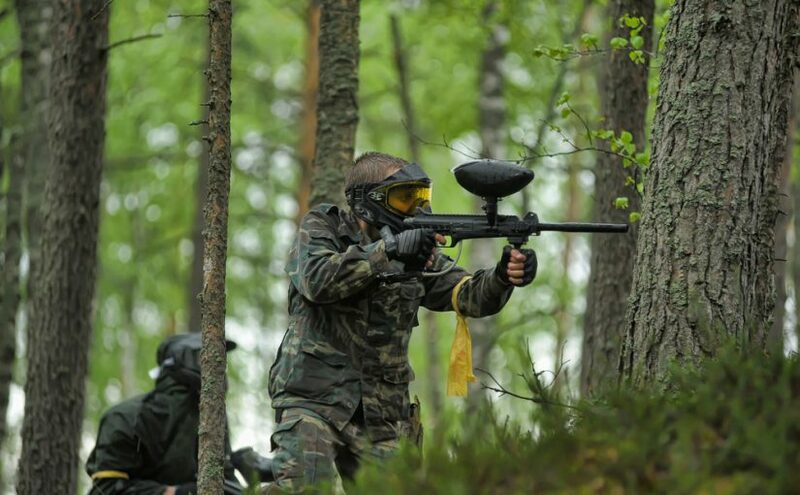 The marker gun, which is what the gun is called in paintball was originally developed to mark trees. The U.S. Forest Service asked Nelson Paint Company to develop a way to mark trees in a long distance. These timbers were being marked for removal. The first model consisted of a squirt gun that blasted a jet of paint onto trees. This was not able to mark trees that were quite far that is a ball of paint was used. Charles Nelson of Nelson Paint also found another use for the newly invented ball of pain that could be shot from a specific type of gun. Ranchers found it to be useful in marking stray cattle from a distance. As the paintball was the product of putting paint into a capsule made of gelatin, the gun or marker also had to be developed specifically for it. As Charles Nelson was able to invent the ball of paint using the same material meant to deliver medicine to horses, he needed a specific type of gun to fire it off from. He took to Crosman company who later developed the Crosman 707. The company, however, had to stop production because sales were not picking up. This is where Charles Nelson went on to talk to Daisy who is an airgun manufacturer. He needed a paintball pistol but cannot use the Crosman 707 design since the Crosman company owned the rights to the design. This is where the Splotchmarker was put together in 1972 which would, later on, be famously known in the paintball world as the Nel-Spot 007. One of the reasons why the Nel-Spot 007 is considered one of the most famous markers in history is because it was the gun used in the first ever paintball game in history in 1981. However, planning for the game started as early as 1977 between two old friends. A stockbroker in Wall Street named Hayes Noel and his good friend Charles Gaines who is a writer. Ski shop owner Bob Gourney was the one who drafted the first ever paintball game rules. The first ever person shot by the Nel-Spot 007 was Charles Gaines’ son Shelby Gaines. The group attracted 9 more players who had to pay out $175 each for food and beverages on top pf equipment cost. In May of 1981, in Henniker, New Hampshire, the principal creators: Bob Gurnsey, Hayes Noel and Charles Gaines discussed the idea of finally having their first paintball game. The Nel-spot 007 marker was purchased and subsequently tested on its first human – Shelby Gaines (Charles’ son) who said, “It didn’t hurt much!” The invitations to the first paintball game attracted 9 people (plus the original three made for a total of 12 players). The nine paid $175.00 each, which covered equipment costs, food, and adult beverages.